Advanced registration requested-Limited to first 40 paid Students. Payment due at Registration time. Basic Beekeeping Class beginning with hiving bee packages in the Spring to harvesting honey in the fall. 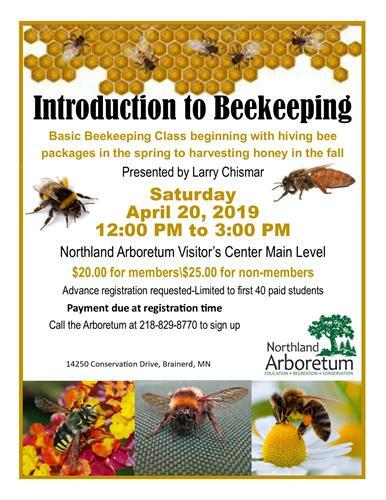 Presented by Larry Chismar at the Northland Arboretum Visitor's Center Main Level.